When it comes to progressive profiling, marketers usually fall in one of two camps: we need it, or we’ve tried it with little success. Those who “need it” have undoubtedly heard about its benefits — more complete prospect records, improved qualification, and better targeting — but have yet to get it off the ground. And those who have “tried it” invested a lot of time and effort to create the perfect progressive form with likely little in return. Why haven’t they been successful? Why didn’t progressive profiling live up to its promise? Companies that treat progressive profiling as just another form — granted, a form on steroids — often fail to see results because of a lack of interaction with the form. Those who achieve success treat progressive profiling as a multichannel experience and engagement strategy. So, how does a form become a strategy? 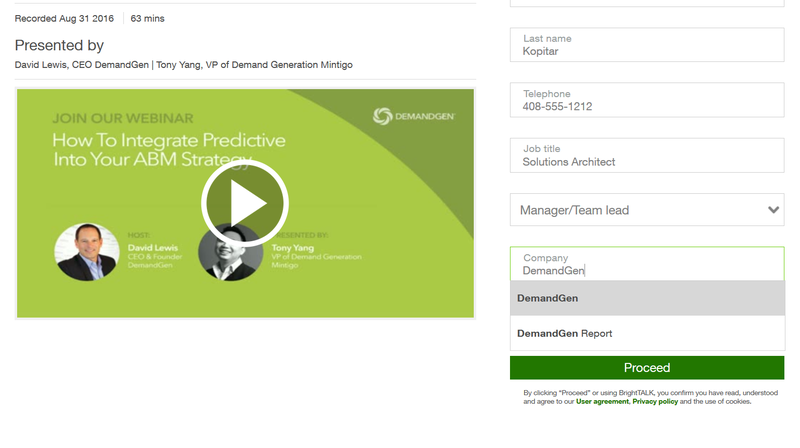 What steps can you take to ensure that your progressive profiling strategy will deliver? Keep these three tips in mind as you consider how progressive profiling can support your marketing programs and needs. 1. Build an experience — not just a form. Think about it. The form is just the vehicle to collect information. It is not what is going to get a prospect to give you the information. What will get you the information? Providing valuable offers that will make someone want to engage with you. I know this seems like a no brainer, but it is often the most challenging aspect of marketing programs because of the time and effort involved in creating really good, high-value content. However, once you have something that prospects want — videos, reviews, demos, trials, testimonials, whatever — you have the base for many programs and progressive profiling. The other part of the experience is, of course, the form itself; this is where most spend the majority of their effort. Rookie mistake. Another common mistake: putting every field imaginable on the form. Just because you can collect the information, doesn’t mean that you should. When defining which fields to include on your form, ask yourself, “If I were asked this question, would I answer it?” Then ask yourself, “Will it help me qualify this person for sales or market to them?” If both answers are yes, then include it. If not, move on. Once you know what you want to ask, you’ll have to decide how much you want to ask at a time. Remember, the shorter the form, the higher the conversion rate. And the higher the offer value, the longer the form (see Table 1). Table 1: The better your offer, the longer the form. And be sure to keep in mind how your marketing automation system handles progressive profiling. Most systems offer fairly basic functionality where you can define which fields should be progressive and how many blank fields should be shown on each interaction. For anything more dynamic, you will most likely need to use some level of custom scripting, so be sure to factor that into the effort needed to deliver your desired experience. 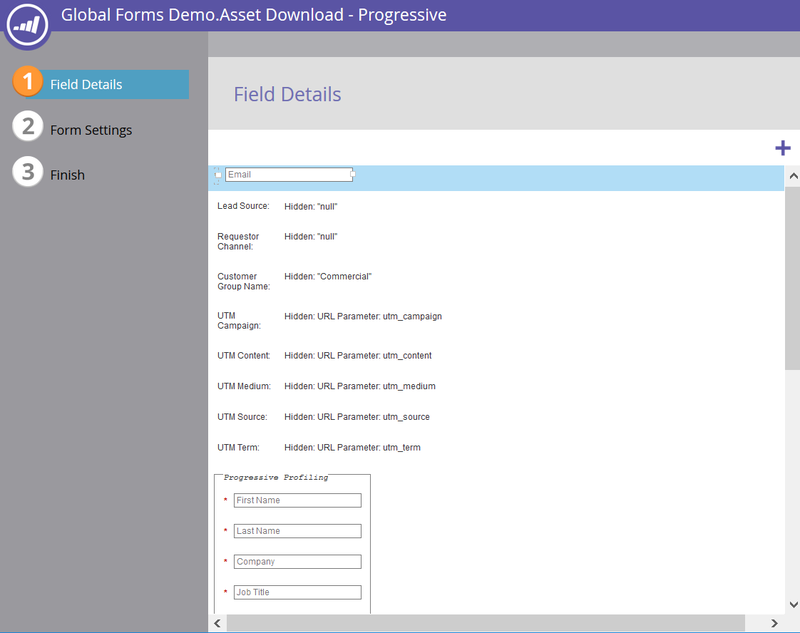 Eloqua and Marketo provide functionality to get a basic progressive form up and running quickly (click to enlarge). One of the main benefits of progressive profiling is to increase engagement and qualification by collecting data over time. Most will forget the time factor, and three months later, after all the effort spent on putting it together, the progressive form is cast aside to the archives branded a failure. But if someone only has one opportunity to fill out the form, you are only going to get the information collected in that one engagement. One of the first things I do with clients working on a progressive profiling strategy is pull together the list of must-have fields to make a complete record and map those against how many interactions it will take to get all of that information. From my experience, the average number is usually between 4 or 5 touches. 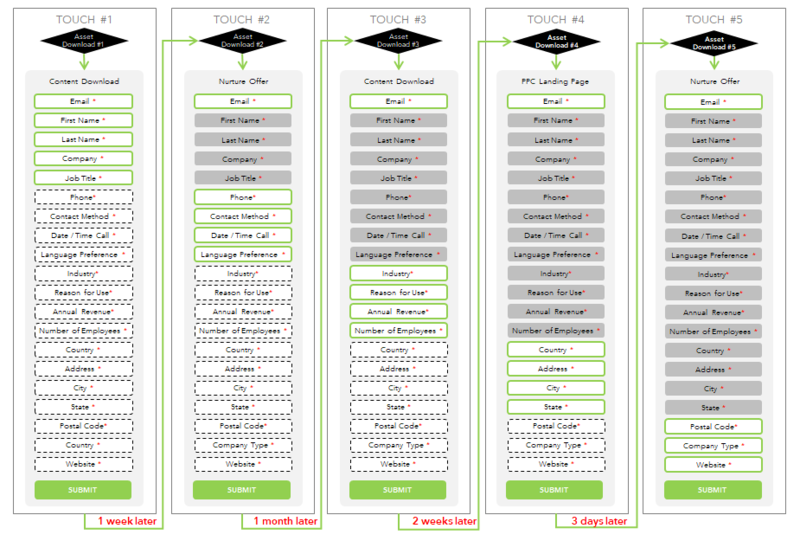 This interaction flow defines how many touches are needed to complete a lead profile and what questions a lead can expect at each touchpoint. 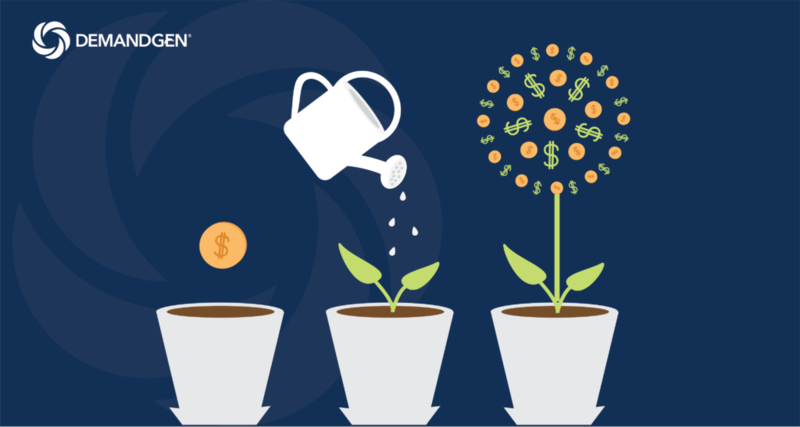 Nurture Programs: Chock-full of valuable offers, targeted content, and a captive audience, nurture programs provide the perfect opportunity to drive leads to a progressive form and collect additional information at each weekly or monthly touchpoint. Resource Centers: While there might not be an accompanying communication program to drive traffic like a nurture program, resource centers are hotbeds for lead engagement and another great opportunity for progressive profiling. With so many assets in one place, many prospects, especially when in research mode, will most likely download multiple offers during their visit. Remember how I said just because you can ask for something doesn’t mean you should? Well the same goes for asking for something that can be collected in some other way. Why waste one of your limited number of opportunities asking for something like Country, when there are probably a dozen different ways to accurately obtain that information? Those opportunities should be focused on getting information that only the prospect can provide. Inferred data is something most MA systems will collect automatically and is fairly accurate given that the data comes from the IP Registry. Depending on the field, inferred data can be stamped into a lead field that can then be used for qualification or segmentation. There is very little else you need to do to take advantage of inferred data. 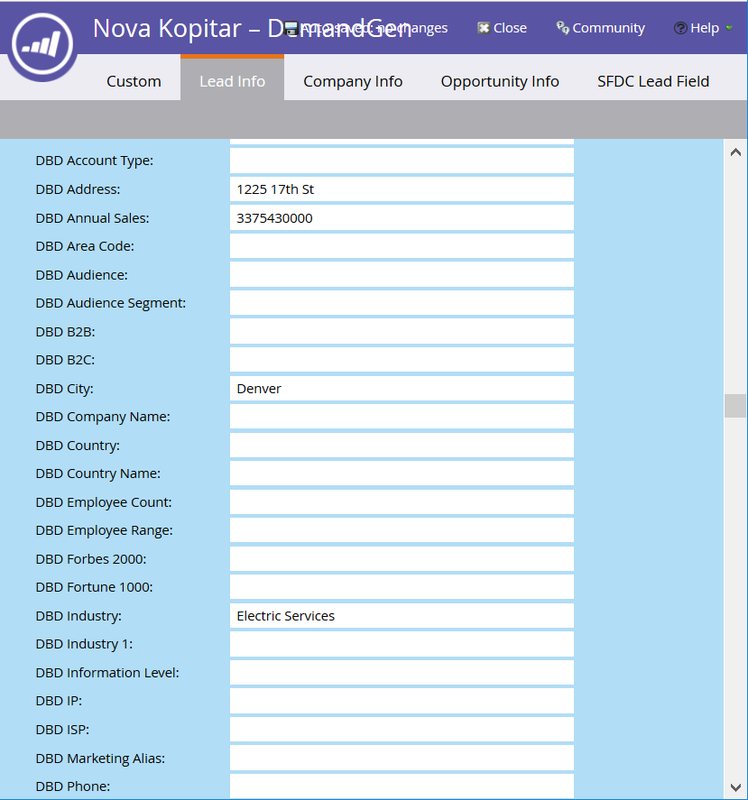 Form front end: As a lead fills out the form, they are asked to select their company from a drop-down list. 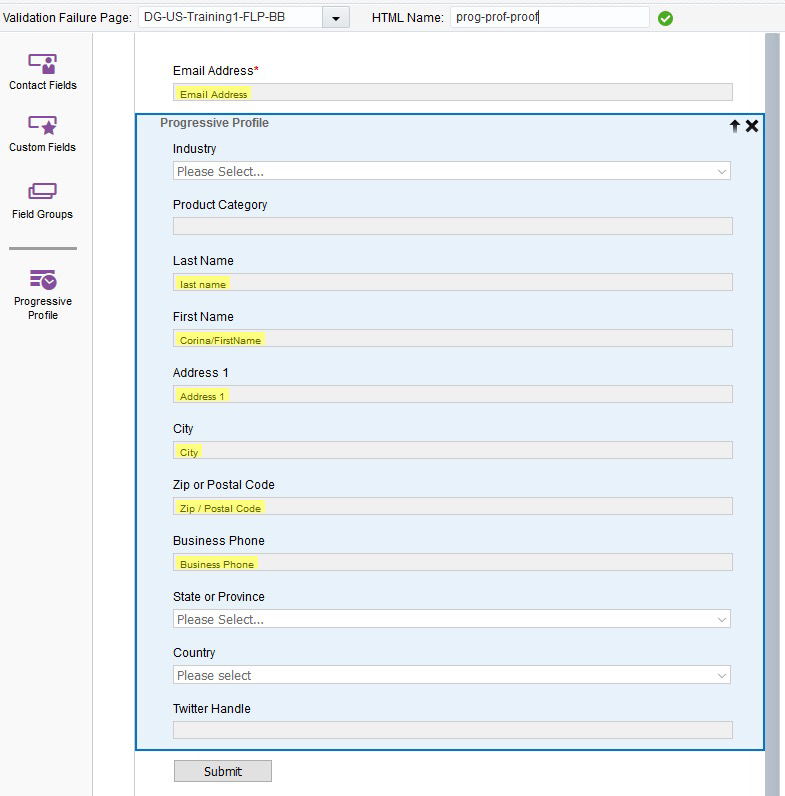 Based on the company selected, hidden form fields are populated that are then submitted with the form. In this example, the lead has 2 potential companies to choose from. Once they select the company, data will be populated in the hidden form fields for submission. 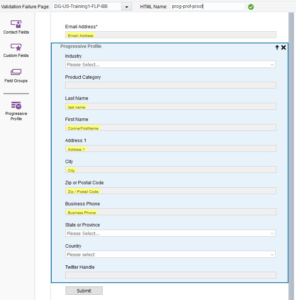 Form back end: Once the form is submitted and the lead is created in the MA system, it will be sent to the data provider, whose record is then updated (usually through an API connection or list imports). 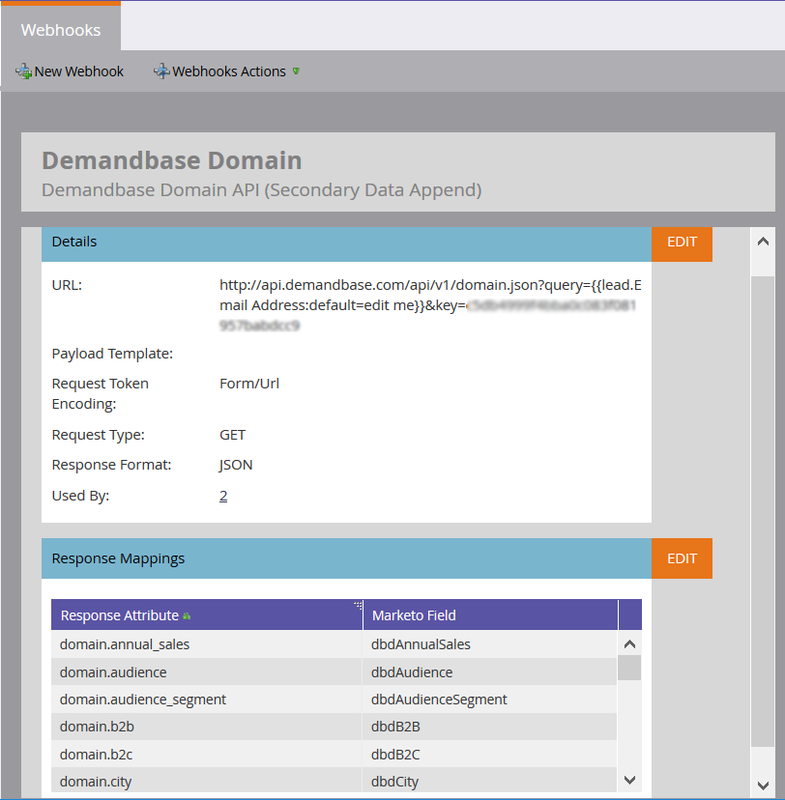 In this example, DemandBase Webhooks are used to send and receive data directly into Marketo. For those of you who have tried progressive profiling before with little success, give it another shot! Consider using it as a part of a nurture program, where multiple touchpoints are already built in. For those of you considering progressive profiling, before you get started, really think through your strategy and the user experience — not just the form fields. And if you are on the fence or uncertain where to start, give us a shout. We are here to help! Nova Kopitar is a demand generation expert, specializing in results-focused lead management, nurturing, and scoring. As a DemandGen Senior Solutions Architect, she works closely with clients in areas including program alignment, nurture development, relationship management, resource planning, reporting and more. She is Marketo Business Certified and Technical Certified.